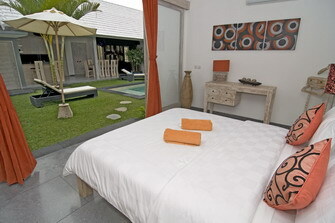 What do you expect from your holiday in Bali? 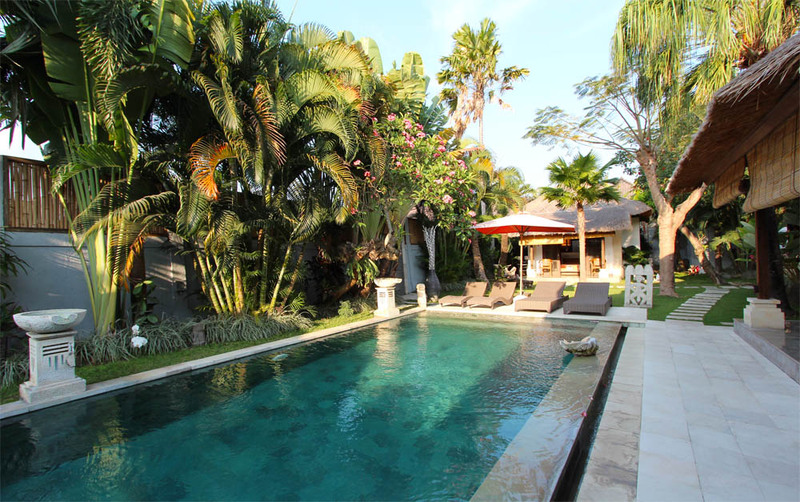 Nice villa to stay with private swimming pool in quiet area, close to the beach and center, good services from friendly and helpful staffs, and many more facilities? 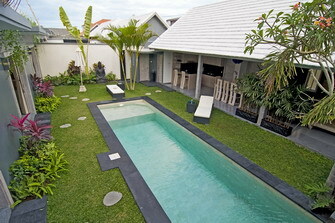 If they are what you looking for to stay, then villa Mertha is available for rent in Bali for your holiday. 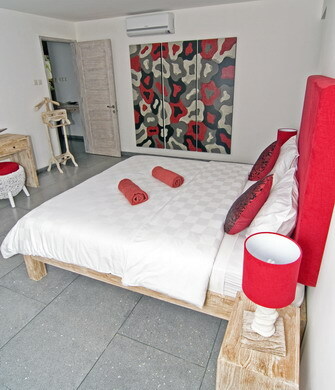 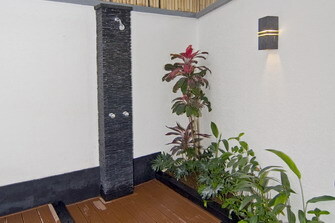 The house is designed for 3 air-conditioned bedrooms and private en suite bathroom. 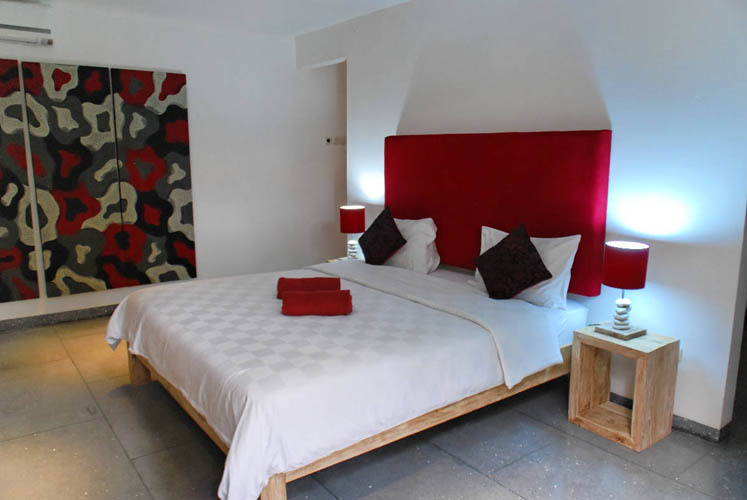 This is more than just an accommodation, itâ��s a promise that you rent a home holiday away from your everyday life. 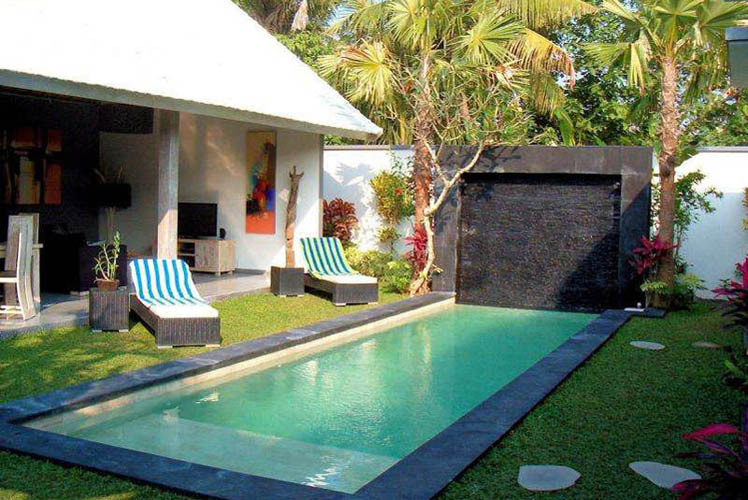 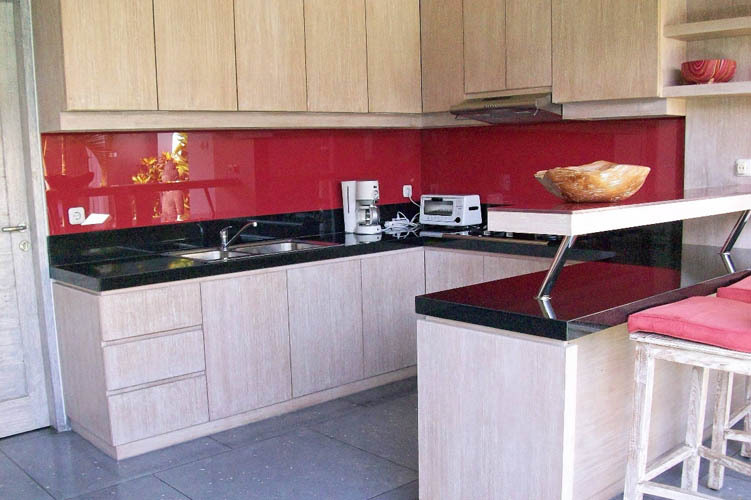 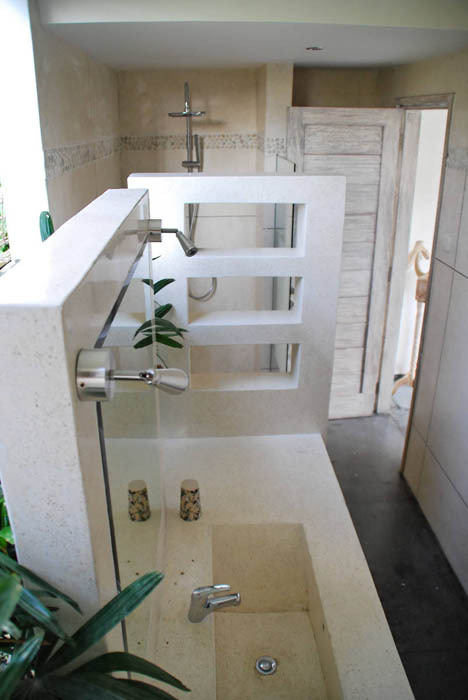 Villa Mertha is well located in Kerobokan, border to tourist area known as Seminyak. 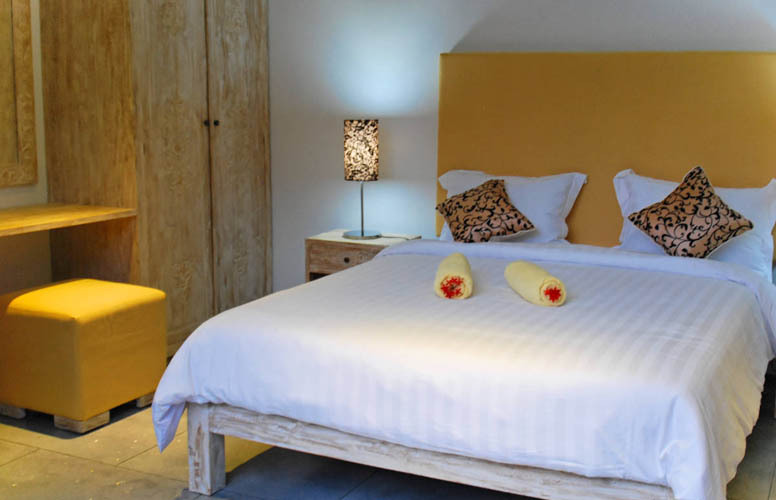 The location benefits you with saving time to the restaurants, souvenirs shops, boutiques, supermarket, the beaches, bars and night entertainment. 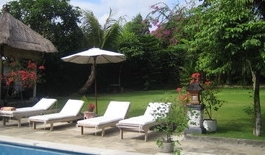 Yet the area is secured and totally tranquil. 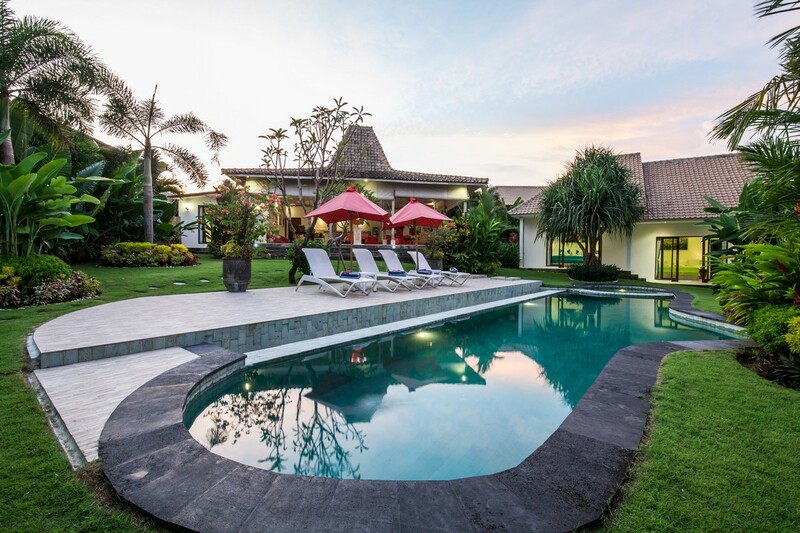 The property is laid out by two main buildings as the three bedrooms are gathered under one roof while the living, dining and kitchen area are set in separated building. 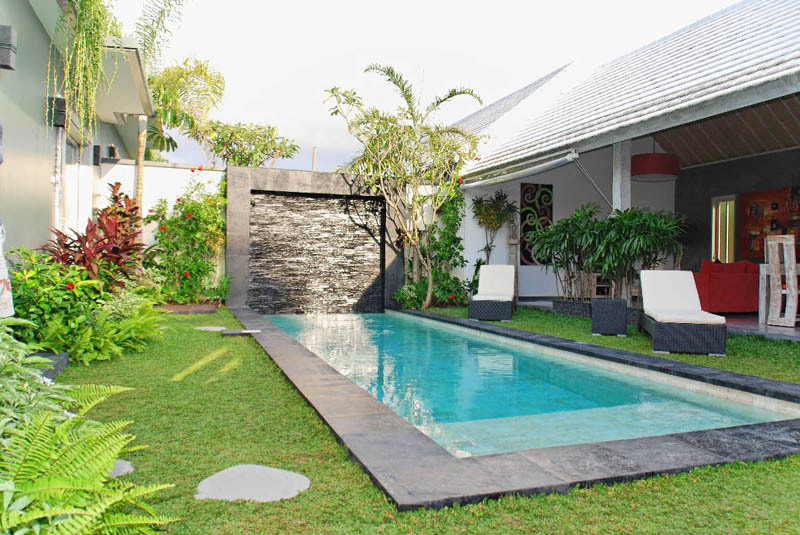 They both are facing to the swimming pool which is surrounded by flourish garden and beautified by fountainThe villa is designed in modern style with open living area and furnished with selected fine furniture. . 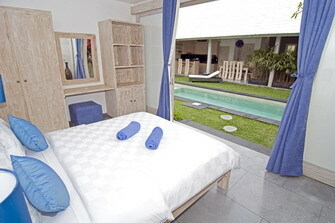 The living area is furnished nice and comfortable sofas for 6 sits, TV set with international channels and DVD player and beautified with charming decorations. 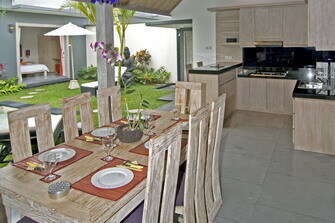 The dining space is placed between the living room and the kitchen. 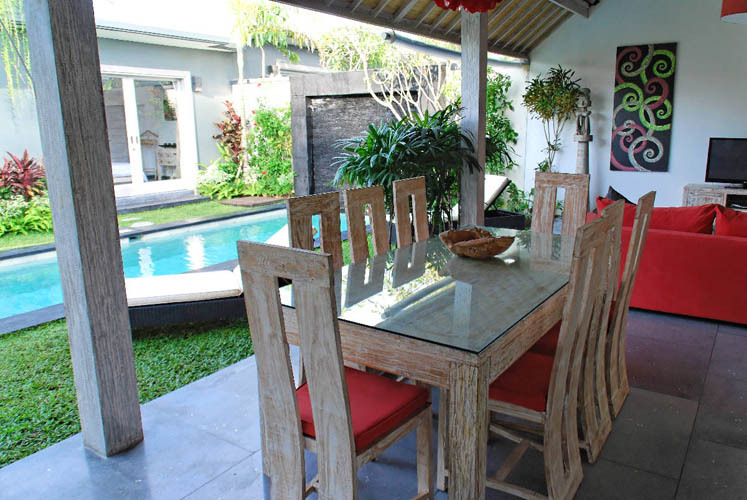 The furniture is well design for comfort and fit for 6 persons. 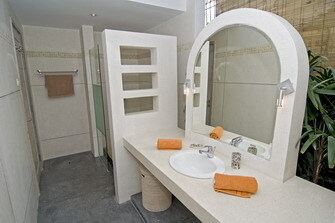 All details in the property are mainly to offer everyone a comfort, cozy and simplicity. 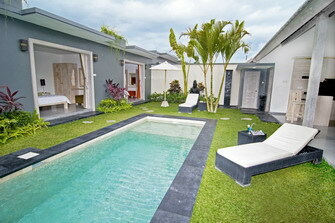 Now, what are you waiting for if you want to rent a housein Bali? 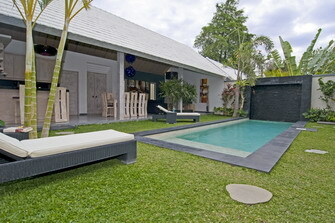 Villa mertha gives you away everything you need for memorable holiday. 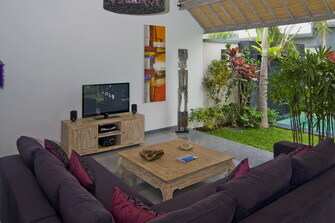 tasteful decoration, well located, great service and assistance.